When I reflect on the “Greatest Generation,” I’m always amazed at the selflessness which characterized them. Men and women stood tall, rolled up their sleeves — and fought in Europe and the Pacific, saving the world from tyranny. They knew the stakes, they understood their mission in combat or back home, and fought or worked to support the war effort. President George H. W. Bush, who passed away Friday at 94, truly personified that generation. Service to country may have been instilled in George by his father Prescott Bush. Prescott served in World War I and had a distinguished career in both politics and business. After the attack on Pearl Harbor, George enlisted in the Navy and became a naval aviator at age 18. After completing a 10-month course, Bush was assigned to a torpedo squadron as the photographic officer. Later in 1943 he was promoted to lieutenant and piloted one of four Grumman TBM Avengers that attacked Japanese installations in the Bonnin Islands, specifically the island of Chichijima. During the mission, the Avengers encountered very intense anti-aircraft fire. Bush’s plane was hit by flak and his engine caught fire. But Bush and his two-man crew continued and released their bombs over the target, inflicting several damaging hits on the enemy. Still in peril, Bush flew several miles away from the island when one member of his crew bailed out of the plane. Sadly, the man’s parachute did not open. As Avenger’s engine failed, it is unclear which member of Bush’s crew bailed out with him, as both crew members were lost in battle that day. It was reported that Bush waited at least four hours in a life raft while several fighters circled overhead until a lifeguard submarine rescued him. During 1944 Bush flew 58 combat missions, for which he received the Distinguished Flying Cross. Home from the war, he got married and got his college degree. After college he became a successful wildcatter in the oil business and was a millionaire by age 40. He went on to become a U.S. congressman from Texas, ambassador to the United Nations, chairman of the Republican National Committee, and director of the CIA, before running in 1980 for president in the Republican Party primary and being nominated as Ronald Reagan’s running mate. After the Reagan-Bush ticket won, Bush became one of President Reagan’s most trusted and able advisers. Never seeking the limelight, Bush gave advice privately to Reagan. And in Bush, Reagan found a loyal soldier and friend. After being elected president in 1988, Bush successfully prosecuted the mission to bring to justice Manuel Noriega — the drug-dealing dictator of Panama. And in a mere 100 hours, the coalition led by Bush against Saddam Hussein pushed Iraq’s military out of Kuwait and back to Baghdad. Bush also presided as the Berlin Wall fell and the Soviet Empire collapsed. While in office, the county experienced a mild recession, but by mid-1992 the country had its lowest interest rates and inflation in years, even though unemployment was the highest it had been since 1984. 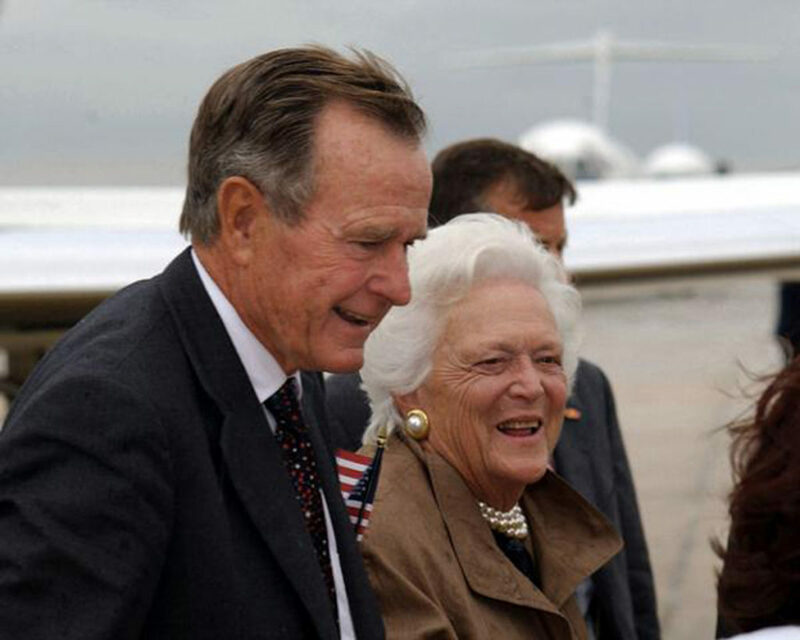 In the 1992 presidential election, Bush lost to Bill Clinton by a margin of 43-to-37 percent. Independent candidate Ross Perot got 19 percent of the popular vote, votes most political observers think cost Bush a second term. What would a second-term Bush presidency have looked like? For sure, Bush’s first concern would have been for the country, and as president he would have continued to conduct himself with honor and grace. Every day we lose more of the “Greatest Generation,” and with the passing of America’s 41st president, we are reminded of their selflessness, patriotism, and love of country. Marc Rotterman is host of “Front Row with Marc Rotterman,” a weekly public affairs program on UNC Public Television and the NC Channel. Follow him on Twitter @FrontRowMarc.